Atmospheric rivers contributed to a mass die-off of wild Olympia oysters in north San Francisco Bay in 2011, according to a study led by the University of California, Davis and the San Francisco Bay National Estuarine Research Reserve, or NERR. Atmospheric rivers, or “rivers in the sky,” are technically long, narrow corridors of concentrated moisture that travel the lower atmosphere. They can transport in the air seven to 15 times as much water flow as the Mississippi River. In California, atmospheric rivers have been known to deliver up to half of the state’s annual precipitation in just 10 to 15 days. They have also been linked to all seven declared floods on California’s Russian River between 1996 and 2007. While atmospheric rivers are expected to increase, their unpredictable nature makes it difficult for researchers to collect ecological data before and after such extreme events. For this research team, it was a matter of being ready for these extreme events. When Cheng was working on his Ph.D. at the UC Davis Bodega Marine Laboratory, he and his colleagues experimented with how oysters respond to changes in temperature, salinity and dissolved oxygen. They learned that oysters have a specific threshold for low salinity. In March 2011, their efforts paid off. A series of atmospheric rivers made landfall in California, contributing intense rainfall that led to an extreme discharge of freshwater into San Francisco Bay. The discharge caused low salinities that almost perfectly matched the low salinity threshold for oysters that Cheng and his colleagues had earlier seen in the lab. Since 2010, Cheng and his colleagues had been monitoring one of the most abundant populations of Olympia oysters at China Camp State Park in northern San Francisco Bay. Up to 3,000 oysters per square meter lived at the park, compared to about 100 oysters per square meter at the next most populated site. 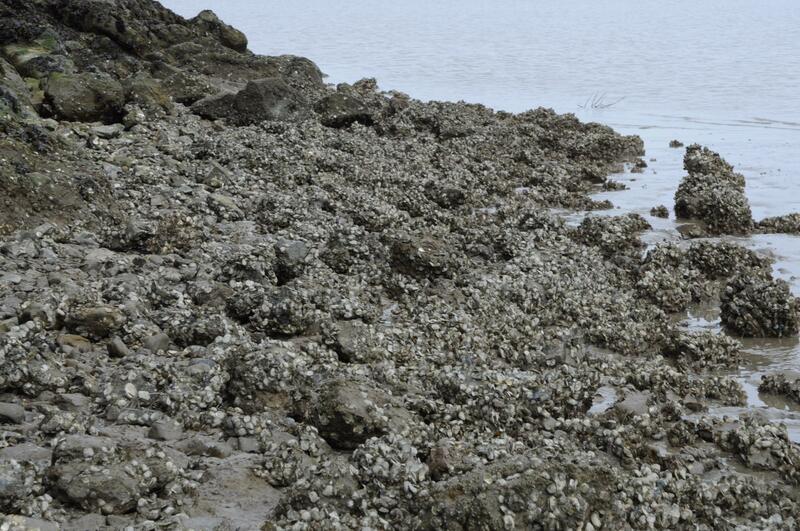 Following the atmospheric river event, nearly all of the oysters at China Camp died. The research team found that the die-off was likely a result of low salinity from the freshwater discharge into the bay, which they traced to rainfall over the Sierra Nevada. They learned that there were 20 atmospheric rivers between October 2010 and September 2011, and three of them happened in March, right before the mass mortality of oysters. Even before the mass mortality, wild oysters were struggling to return to their historical abundance. Cheng said it’s likely that the population at China Camp was providing much of the San Francisco Bay with oyster offspring. While the population is beginning to come back, their future is uncertain, and repeated hits from atmospheric rivers could knock back their progress. To deal with the expected influence of atmospheric rivers and other extreme weather events, Cheng thinks strengthening the entire oyster population across the bay is the best way to help them recover and be more resilient to future changes. Co-authoring institutions include San Francisco Bay National Estuarine Research Reserve and the Smithsonian Environmental Research Center. The study received funding from National Estuarine Research Reserve System, a part of the National Oceanic and Atmospheric Administration; Smithsonian Institution; Delta Stewardship Council; and NOAA’s Office for Coastal Management. Brian Cheng, UC Davis Bodega Marine Laboratory, 925-876-7988, bscheng@gmail.com, Cheng is based in Maryland. Matt Ferner, SF Bay National Estuarine Research Reserve, 415-407-4936, mferner@sfsu.edu, Ferner is based in San Francisco and can be available for onsite interviews. He will also be available at the AGU Conference in San Francisco this week. Download photos of oysters at China Camp.